Agé de 20 ans, issu de l’université de Bilkent, il a déjà joué en Italie, en Russie et aux Pays-Bas. Depuis 2014, il étudie au conservatoire Tchaïkovski à Moscou avec R. Ostrovksy. Il remporte en 2014 le 2nd prix du Concours International de Sofia. C’est sa 1ère venue en France, boursier du Cap Ferret Music Festival. He was born in Konya, Turkey in 1996. 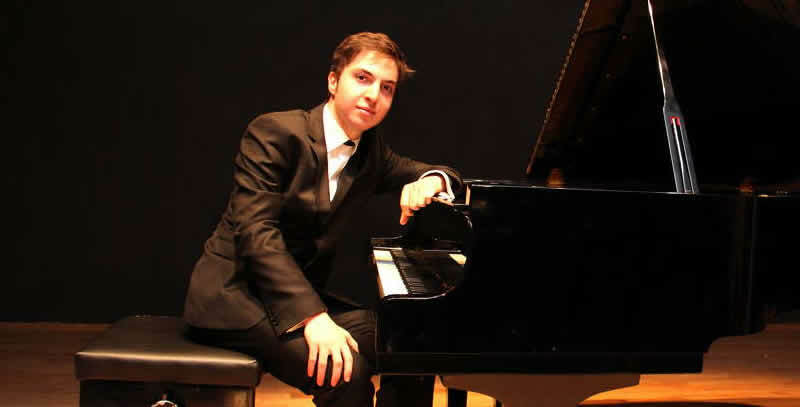 In 2004, he started his piano education with Gülnara BAHSHYSH. In 2006, accepted to the Preparatory Music School of the Faculty of Music and Performing Arts of Bilkent University in Ankara and studied piano with Associate Prof. Gülnara AZIZ. He graduated from the same school in 2014 and won the examination of Moscow Tchaikovsky State Conservatory. He is studying with Professor Ruvim OSTROVSKY. He gave recitals at the events in various universities, cities, embassies in Turkey and abroad. He performed with Bilkent Symphony Orchestra that was conducted by Işın METIN, Chamber Orchestra of Mersin University, conducted by Serdar YALÇIN and Symphony Orchestra of the Municipality of Eskişehir, conducted by ENDER SAKPINAR.